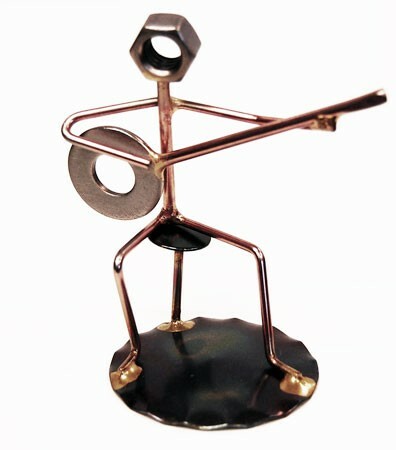 Banjo Wirecraft Figurine – This unique sculpture is a fun music gift idea for the banjo player in your life! The decorative piece is molded from metal and copper wiring and features a figure strumming on the banjo. A fun piece of room decor that would look fantastic in the home or office. Approx. 2″ W x 3.5″ H.